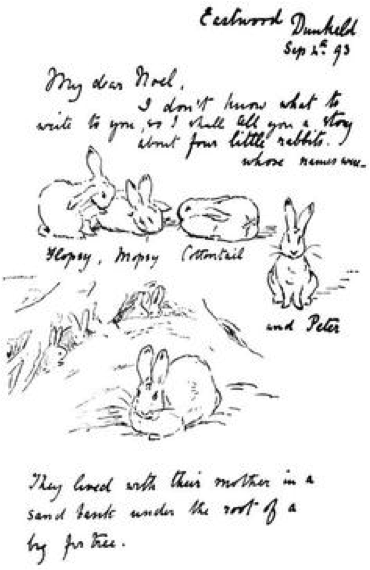 Beatrix Potter was one of Britain’s foremost children’s authors, famous for her character ‘Peter Rabbit’, who still charms children across the globe. 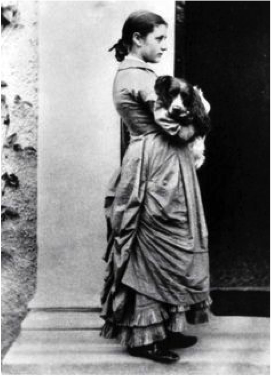 She was a multitalented woman who, despite growing up in a strict Victorian household, became not only a writer and illustrator, but also a natural scientist, conservationist, farmer, and businesswoman. Beatrix was an inspirational woman, and it was a joy to write about her as the neighbour and friend to my character Flora in Esthwaite. Beatrix’s greatest achievement was her conservation of vast areas of land in the Lake District. In her will, she gave this land back to the people of Britain by gifting it to the National Trust, an organisation that aims to preserve areas of heritage and natural beauty in the UK. Beatrix was born on 28th July 1866 in Kensington, London, to a wealthy family. As a child, she spent her time making up imaginary characters and studying the world around her, documenting the many holidays to Scotland and the Lake District that she went on with her parents and her brother. Between the ages of 15 and 30, Beatrix kept a journal written entirely in a code she had invented. This code wasn’t deciphered until 1958, and since then her diaries have been published. Beatrix’s talent for art led her to earn an Art Student’s Certificate at the South Kensington Museum. Having mostly been self-taught and educated by governesses, she was frustrated with the strictures of the art course. Also, being a woman, Beatrix’s attempts to publish her intricate mycological drawings in scientific journals were blocked, until she managed to submit them to the Linnean Society in 1897. Always a lover of animals, in her early twenties, Beatrix bought a pet rabbit that she called Benjamin Bouncer, and she spent her time sketching him. She later got another rabbit called Peter. 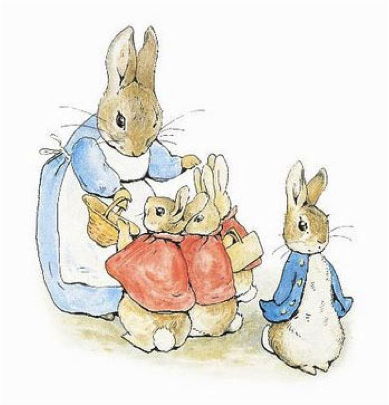 The story of Peter Rabbit was first written in a letter Beatrix sent to a young boy called Noel, the son of her former governess, to cheer him up whilst he was ill. Peter Rabbit was joined by Flopsy, Mopsy and Cottontail. In 1901, Beatrix revised the story and self-published it for her family and friends. Eventually, she gained the interest of a small London publishing house called Frederick Warne & Co, who offered to print it. In 1902, The Tale of Peter Rabbit was met with immediate success. Beatrix went on to write twenty-four more tales and various other books, all with Frederick Warne & Co.
Beatrix fell in love with her editor, Norman Warne, who had always tirelessly supported her work. 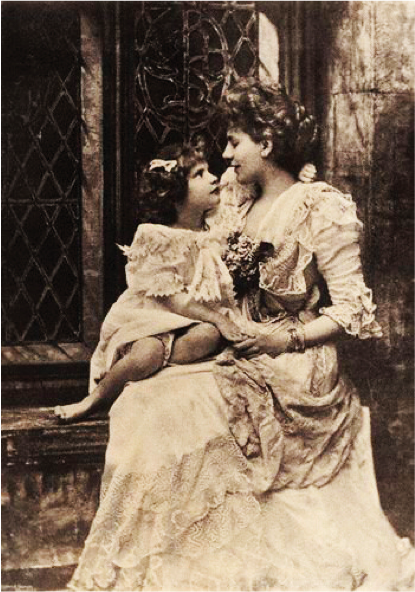 Although her parents objected to their relationship, they became engaged in 1905. Tragically, their engagement was short-lived, as Norman died suddenly of leukemia one month later. Beatrix would wear his engagement ring for the rest of her life. In her grief, Beatrix retreated to the Lake District and bought Hill Top Farm in Near Sawrey, a small village by Esthwaite Water. There she learnt to farm and breed sheep, later winning awards for her Herdwick flock. A lot of her tales from this period onwards were directly inspired by her neighbours. The Tale of Ginger and Pickles, for example, was based on Mr Taylor’s village shop. 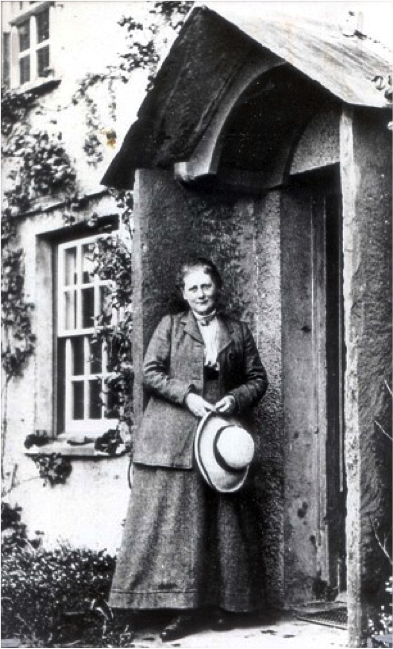 In 1909, Beatrix bought Castle Cottage Farm in Sawrey, and continued to farm and develop her properties. In 1913, she fell in love with and married her solicitor, William Heelis. A canny businesswoman, Beatrix had patented the Peter Rabbit doll in 1903, and the income from the merchandise as well as royalties from her books made her very wealthy. On her death in 1943, aged 77, she had left behind over 4,000 acres of land, sixteen farms, numerous cottages, and many herds of Herdwick sheep. You can still visit Beatrix’s home in Near Sawrey today – Hill Top Farm is a National Trust museum. Beatrix is an iconic British personality, and her storybooks have entertained generations of children – my own included!